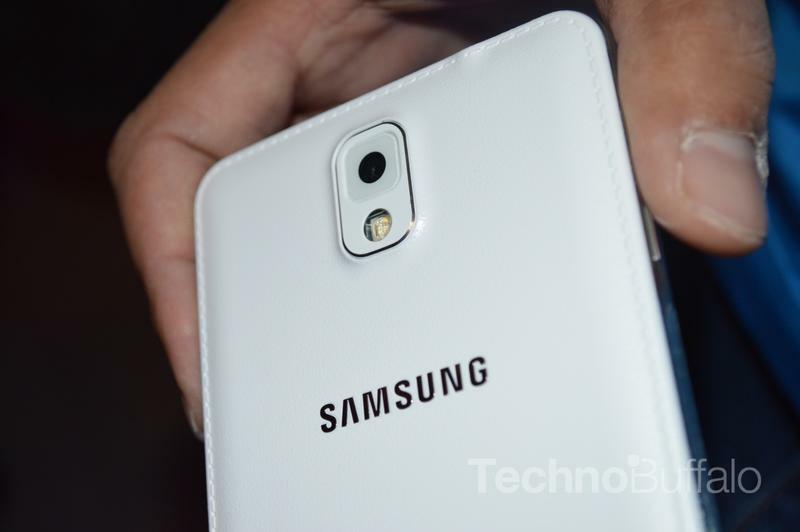 When Samsung unveiled the Galaxy Note 3 and the new Note 10.1 earlier this year, the company also unveiled a new design element, covering the backs of both devices with a plastic faux-leather cover. 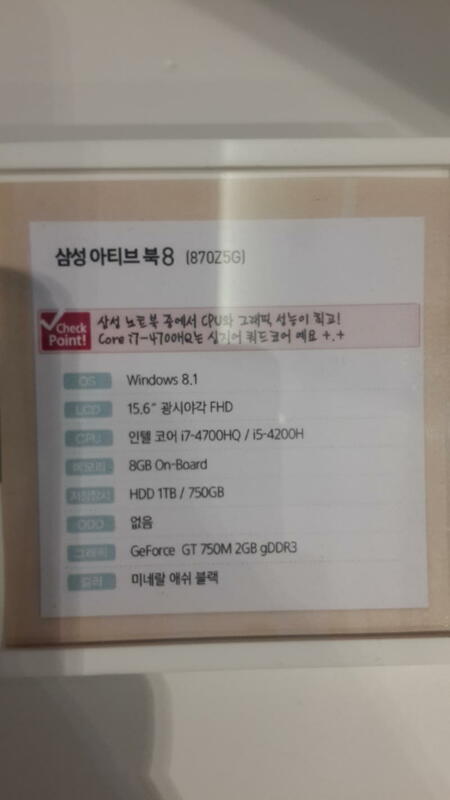 Now, it looks like the South Korean tech titan may use the same material to cover the back of its next Windows 8.1 ATIV laptop, based on two leaked images first published on Korean site Seeko earlier today. 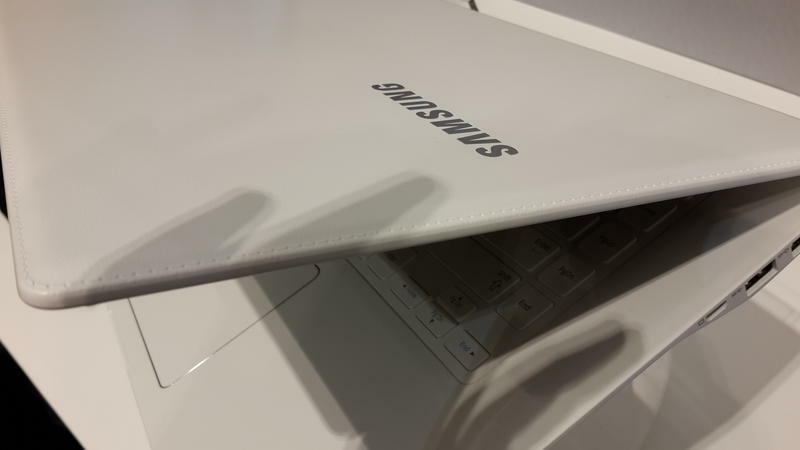 The photos were taken by a member of the site going by username Jamproject, who says he snapped the two pictures showing the new laptop and its spec sheet while attending a local Samsung event. Aside from its fake leather backing, the alleged ATIV laptop will reportedly sport a 15.6-inch display, 8GB of RAM, either a 750GB or 1TB hard drive, NVIDIA GeForce GT 750M graphics, an Intel Core i7 or Core i5 processor, and will run Windows 8.1. As for that faux-leather? We actually didn’t mind it on the Note 3 and Note 10.1, where it arguably comes as an improvement to Samsung’s classic shiny plastic design and makes the devices easier to grip. We’re not sure what purpose the material might serve on a laptop, though. We won’t know anything for sure until Samsung makes an official announcement though, which likely won’t come until CES 2014 next month at the earliest. TechnoBuffalo will be on the ground in Las Vegas covering all the latest tech news. So if we spot a faux-leather ATIV laptop on display we’ll let you know.